The Hotel of Horror and Altered Nightmares Halloween Attractions are both housed inside the Lake House Hotel intertwined and breathing next to one another, sharing organs and a circulatory system like conjoined twins. The sinister subconscious of the Hotel of Horror feeds off the dark energy that stains the lumber skeleton of this once pristine mountain resort, while Altered Nightmares celebrates the chaos that grows stronger as each soul travels through its decaying halls and abandoned rooms. Please enter with caution as the inmates run this asylum. 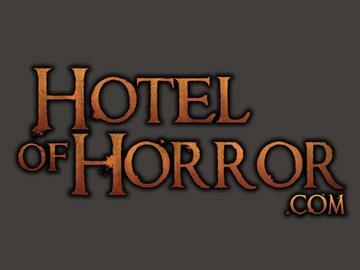 This 2018 season will celebrate the 26th year that The Hotel of Horror has been fascinating and horrifying legions of fans from the far reaches of The United States and even internationally. Witness for yourself why we are critically acclaimed. Note: Please turn in your online Ticketleap ticket voucher at the box office windows in exchange for event entry ticket. VIP upgrades are available for purchase at the box office windows only, in addition to tickets for the Theatre of the Damned, Coffin Coach, and iPas Activities. Please arrive at least One Hour before closing time. Ticket purchase is non-refundable. Please arrive at least One Hour before closing time. This ticket voucher needs to be handed in at the box office window in exchange for event entry ticket. Ticket purchase is non-refundable.